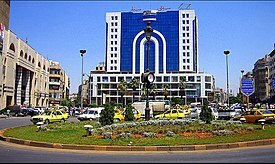 Homs (/hɔːms/; Arabic: حمص‎ / ALA-LC: Ḥimṣ [ħɔmsˤ]), previously known as Emesa or Emisa (Greek: Ἔμεσα Emesa), is a city in western Syria and the capital of the Homs Governorate. It is 501 metres (1,644 ft) above sea level and is located 162 kilometres (101 mi) north of Damascus. Located on the Orontes River, Homs is also the central link between the interior cities and the Mediterranean coast. Before the Syrian civil war, Homs was a major industrial centre, and with a population of at least 652,609 people in 2004, it was the third largest city in Syria after Aleppo to the north and the capital Damascus to the south. Its population reflects Syria's general religious diversity, composed of Sunni and Alawite Muslims, and Christians. There are a number of historic mosques and churches in the city, and it is close to the Krak des Chevaliers castle, a world heritage site. Homs did not emerge into the historical record until the 1st century BCE at the time of the Seleucids. [disputed – discuss] It later became the capital of a kingdom ruled by the Emesene dynasty who gave the city its name. [disputed – discuss] Originally a center of worship for the sun god El-Gabal, it later gained importance in Christianity under the Byzantines. Homs was conquered by the Muslims in the 7th century and made capital of a district that bore its current name. 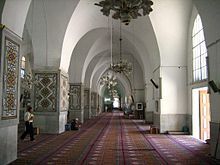 Throughout the Islamic era, Muslim dynasties contending for control of Syria sought after Homs due to the city's strategic position in the area. Homs began to decline under the Ottomans and only in the 19th century did the city regain its economic importance when its cotton industry boomed. During French Mandate rule, the city became a center of insurrection and, after independence in 1946, a center of Baathist resistance to the first Syrian governments. During the Syrian civil war, much of the city was devastated due to the Siege of Homs; reconstruction to affected parts of the city is underway with major reconstruction beginning in 2018. The origin of the city's modern name is that it is an Arabic form of the city's Latin name Emesus, derived from the Greek Emesa or Emesos, or Hemesa. The name "Emesa" or "Hemesa" was derived from the Aramean city of "Hamath-zobah". The latter is a combination of Hamath (Hebrew: חֲמָת‎ Ḥamāth; Syriac: ܚܡܬ‎ Ḥmṭ, "fortress") and Sawbah (Hebrew: צובָא‎; Syriac: ܨܘܒܐ‎ Ṣwba, "nearness"). Thus, the name collectively means "The fortress surrounding" which refers to the Citadel of Homs and the encircling plains. Other claim of the origin is that the name "Emesa" seems to be derived from the nomadic Arab tribe, called Emesenoi by the Greeks and the Romans, that inhabited the region prior to Roman influence in the area. For approximately 2,000 years, Homs has served as a key agricultural market, production site and trade center for the villages of northern Syria. It has also provided security services to the hinterland of Syria, protecting it from invading forces. Excavations at the Citadel of Homs indicate that the earliest settlement at the site dates back to around 2300 BCE. Biblical scholars have identified the city with Hamath-zobah of Zobah mentioned in the Bible. In 1274 BCE, a battle took place between the forces of the Egyptian Empire under Ramesses II and the Hittite Empire under Muwatalli II at the city of Kadesh on the Orontes River near Homs. It was possibly the largest chariot battle ever fought, involving perhaps 5,000–6,000 chariots. The Emesa temple to the sun god El-Gabal, with the holy stone, on the reverse of this bronze coin by Roman usurper Uranius Antoninus. "Emesa" redirects here. For the genus of thread-legged bug, see Emesa (bug). Strabo only mentioned Arethusa in his Geography, as a "very-strong place" of Sampsigeramos and of his son Iamblikhos, "phylarchs" of the Emesene, who had allied themselves to Q. Caecilius Bassus against Caesar in 47 BC; the translators above cited have thought strange Strabo's not saying a word about Emesa. Claims have been made that Emesa was founded by Seleucus I Nicator who established the Seleucid Empire upon the death of Alexander the Great. However, according to Henri Seyrig, Emesa does not seem to have received any Greek colony and the authors' complete silence makes one think that it did not increase its visibility under the Seleucid kings. According to Henri Seyrig, it even seems that Posidonius, to whom Strabo probably referred concerning the Emesenes' phylarchs' alliance with Q. Caecilius Bassus, regarded the Emesenes as a simple tribe, governed by its sheikhs, and still devoid of a real urban existence;[b] according to Maamoun Abdulkarim, occupation of the citadel's tell does not confirm the existence of a real urban center in the plain before the Roman period and recent excavations have refuted the existence of vestiges preceding the Roman period under the actual town's outline, and the existence of an Emesene dynasty in the region, probably located in Arethusa, attests to the secondary nature of this area during the Hellenistic period. Upon Pompey's incorporation of the Seleucid state of Syria into the Roman Empire in 64 BCE, the Emesene dynasty were confirmed in their rule as client kings of the Romans for aiding their troops in various wars. At its greatest extent, the kingdom's boundaries extended from the Bekaa Valley in the west to the border with Palmyra in the east, and from Yabrud in the south to al-Rastan (Arethusa) in the north. The kingdom of Sampsiceramus I, was the first of Rome's Arab clients on the desert fringes. The Krak des Chevaliers, a UNESCO World Heritage Site near Homs. The city of Emesa grew to prominence after the new-found wealth of the Emesene dynasty, governed first by one of the sons of Sampsiceramus I, Iamblichus I who made it the kingdom's capital. [disputed – discuss] The Emesene proved their loyalty to Rome once more when they aided Gaius Julius Caesar in his siege of Alexandria in 48 BC, by sending him army detachments. Subsequently, they became embroiled in the Roman Civil War between the rebelling Mark Antony and the pro-Caesar Octavian. Iamblichus I took the side of Octavian, and so upon encouragement from Antony, Iamblichus's brother Alexio I usurped the throne and put Iamblichus I to death in 31 BCE. Octavian's forces prevailed in the war, however, and as a result the kingdom's throne was reverted to Iamblichus II (the son of Iamblichus I) after Alexio I was executed for treason. Under the stable rule of Iamblichus II, emerged a new era of peace from 20 BCE to 14, known as Emesa's "Golden Age." In 32, Heliopolis and the Beqaa Valley came under the kingdom's control. Relations with the Roman government grew closer when King Sohaemus inherited the kingship. Under him, Emesa sent the Roman military a regular levy of archers and assisted them in their siege of Jerusalem in 70. Sohaemus had died in 73 and was succeeded by his son, Alexio II. Despite the fact that the Emesene dynasty were loyal allies to Rome, for unknown reasons the Roman state reduced the autonomous rule of the Emesene dynasty. Alexio II and his priest king successors had only ceremonial authority. It remains unclear why this occurred to the Emesene dynasty. Alexio II died in 78 and he was succeeded by his son Sampsiceramus III. The generations after Alexio II, are not recorded sufficiently to accurately present a pedigree. The integration of client states was actively pursued under the Flavians. Perhaps as early as 72, but certainly before 78, Sampsigeramus of Emesa was deposed and his principality incorporated into the province. Under the Romans, Emesa began to show attributes of a Greek city-state and traces of Roman town planning still remain. Its transformation into a major city was completed under the reign of Emperor Antoninus Pius (138–161) when Emesa began to mint coins. By the 3rd century, it grew prosperous and well integrated into the Roman Orient. This was partly due to the marriage of Emperor Lucius Septimius Severus to a woman from a family of notables based in Emesa. According to a text of Ulpian (Digest 50.15.1.4) and another one of Paul (Digest 50.15.8.6), Caracalla and Elagabalus each promoted Emesa to the rank of a colonia and granted ius Italicum to it; Eugène Albertini has hypothesized about a revocation by Macrinus of the privileges given by Caracalla and a reestablishment of those by Elagabalus. Elagabalus served as the high priest at the Temple of El-Gebal, the local sun god. He brought the image of this god, a conical black stone, to the Elagabalium in Rome. During the Byzantine–Sasanian War of 602–628, Emesa fell in 613 to Shahrbaraz and was in Sasanian hands until near the end of the war. Prior to the Muslim conquest of Syria, Arab tribes, particularly the Banu Kalb settled around Emesa, ensuring its position as an important Yamani center. The Byzantine emperor Heraclius abandoned the city—which served as his headquarters—after his army's defeat by the Rashidun Muslims under Caliph Umar ibn al-Khattab during the Battle of Yarmouk in southern Syria. In 637 CE, the Rashidun army led by Khalid ibn al-Walid captured Emesa peacefully because its inhabitants agreed to pay a substantial ransom of 71,000 to 170,000 dinars. 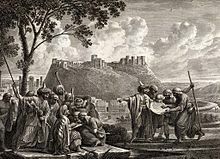 The caliph Umar established Homs as the capital of Jund Hims, a district of the province of Bilad al-Sham, encompassing the towns of Latakia, Jableh, and Tartus along the coast, Palmyra in the Syrian Desert and the territory in between, including the town of Hama. Homs was likely the first city in Syria to have a substantial Muslim population. In 750 the Abbasids wrested control of Syria, including Homs, from the Umayyads, and the Arab tribes revolted. Despite the prosperity Homs experienced during this era, Abbasid rule was generally not welcomed nevertheless. During and after the reign of Caliph Harun al-Rashid (796–809), the Abbasid authorities sent numerous punitive expeditions against Homs. Under the reign of Caliph al-Mutawakkil, in October 855, the Christian population revolted in response to additional taxation. The caliph put down the revolt by expelling Christians from the city, burning down their churches and executing members of their leadership. Towards the end of Ayyubid rule, Homs remained a centrepiece of the wars between them and the Crusaders, as well as internecine conflicts with the Mongol Empire and the Mamluks. The first battle between the Mongols and the Mamluks took place on 10 December 1260, ending in a decisive Mamluk victory. A second battle was fought on 29 October 1281, also ending in a Mamluk victory. The Mamluks were finally defeated in the Battle of Wadi al-Khazandar, also known as the "Third Battle of Homs," in 1299. Homs declined politically after falling to the Mamluks under Baibars because their campaigns effectively drove out the Crusaders and the Mongols from the entirety of Syria. At the beginning of the 14th century, the city was merely the capital of the smallest province of Syria and was often attached to the province of Damascus. Ibn Batuta visited Homs in 1355, writing that it had fine trees, good markets, and a "fine Friday Mosque," noting that all of its inhabitants were Arabs. Timur seized the city in 1400. Nevertheless, he did not sack it as he did in Aleppo, Hama and later Damascus, due to a man called “‘Amr bin al-Rawas” who conciled with him offering precious gifts to save the city. Later in the 15th century as Mamluk weakness had brought insecurity to the countryside, Homs was ravaged by Bedouin raids; In 1510 a powerful tribe led by al-Fadl bin Nu'ayr was sent on an expedition by the governor of Damascus to loot the city markets as Homs had failed to pay compensation for his "services." Throughout the 20th century Homs held high political importance in the country and was home to several heads of state and other high-ranking government officials. During the French mandate, Homs was part of the State of Damascus. In Autumn 1925, the city joined Damascus and the southern Druze chieftains in a full-blown revolt against French rule. In 1932, the French moved their military academy from Damascus to Homs to be established in 1933, later known as Homs Military Academy, and it remained the only military academy in Syria until 1967. The French authorities had created a locally recruited military force designated as the Special Troops of the Levant, in which the Alawites were given privileged positions. The military academy in Homs trained the indigenous officers for these Troupes Speciales du Levant. The Homs Military Academy played a major role in the years following Syria's independence, as many of its graduates went on to become high-ranking officers in the Syrian Army, many of them taking part in the series of coup d'états that were to follow. An important example was Hafez al-Assad who became the president of Syria from 1971 until his death in 2000. Homs consists of several subdivisions outside the Old City. The large neighbourhood of Khaldiyah spreads along its northern edge which is bordered by Al-Bayadah and Deir Baalbah, while the more modern neighbourhoods of al-Sabil, al-Zahra, and Jub al-Jandali are situated to the east of the Old City. South of it are the neighborhoods of Bab al-Sebaa, al-Mreijeh, al-Nezha, Akrama and beyond them lay the Karm al-Zaytoun and Karm al-Loz neighbourhoods. The modern commercial centre lies to the west in the neighbourhood of Jouret al-Shayyah, and further west are the upscale neighbourhoods of Qusoor, al-Mahatta, al-Ghouta and Baba Amr. The suburb of al-Waer is located even further west, separated from the city by areas of farmland called al-Basatin and the Orontes River forming a green belt where it is forbidden to build anything. The Baath University complex and dormitories are located on the western-southern edge of the city next to the neighborhood of Akrama. Homs was one of the largest cities in Syria in the 12th century with a population of 7,000. In 1785, the inhabitants of Homs numbered more than 2,000 and the population was divided almost evenly between Eastern Orthodox Christians and Muslims. The 1860s saw a rise in the population to 15,000–20,000. By 1907, Homs had roughly 65,000 inhabitants, of which two thirds were Muslims and the remainder Christians. In the 1981 census, the population stood at 346,871, rising to 540,133 in 1994. According to the 2004 census by Syria's Central Bureau of Statistics, Homs had a population of 652,609 of which 51.5% were male and 48.5% female. In an independent 2005 estimate the city had 750,000 residents, and as of 2008[update] the population was estimated at about 823,000. Homs Governorate had an estimated 1,767,000 people in 2011. Today, Homs' population reflects Syria's general religious diversity, and is made up primarily of Sunni Muslims (including Arabs, Kurds, and Turkmen), with minorities of Alawites, Eastern Orthodox Christians and Syriac Orthodox Christians. In addition to Catholics, Evangelists and Maronites. In the 1880s, the Survey of Western Palestine noted that there were 5,500 Greek Orthodox Christians and 1,500 Syriac Orthodox Christians. The Syriac Patriarchate was transferred to Homs from Mardin in 1933, but relocated once more to Damascus in 1959. There are two main museums in Homs, both located in the central part of the city. Qasr al-Zahrawi, a former Mamluk-era palace belonging to Ali ibn Abi al-Fadl al-Azzhari, a subordinate of Baibars, the Mamluk sultan, is now the National Folklore Museum. Outside the building is a courtyard, occupied on one side by a large terraced liwan with a conch shell semi-dome. In the opposite wall, there is a carving of two lions, a symbol of Baibars. The first museum built in the city, Homs Museum founded in 1922, is located along Shoukri al-Quwatly Street and contains a selection of artifacts from the Homs region, covering the time between the prehistoric and Islamic eras. 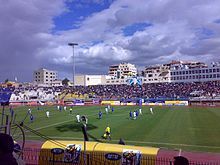 Homs is home to two football clubs. The Al-Karamah Sports Club was founded in 1928 and is one of the oldest sports clubs in Syria. Al-Karamah is widely acclaimed on the regional and national levels, having won eight Syrian League titles, and eight Syrian Cup titles. Al-Karamah was a runner-up in the 2006 AFC Champions League. The second sports club of the city is Al-Wathba Sports Club, which was founded in 1937. The Khaled Ibn Al Walid Stadium has a 35,000-person capacity and is home to both football clubs. Another stadium called Bassel al-Assad Stadium with a capacity of 25,000 was inaugurated in 2000. Homs has produced a number of well-known sportsmen, including footballers Firas Al Khatib and Jehad Al Hussain. Culture House Theater in Homs was established in 1973. It hosts theatre plays, and poetry, instrumental and musical festivals. The oldest schools in Homs were founded by American missionaries, the "National Evangelical School" in 1855, and "Al Ghassania Orthodox School" in 1887. 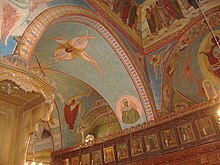 The Um al-Zennar Church ("Church of the Virgin's Girdle") was built in 1852 atop an earlier church dating back to the 4th century, and perhaps 59 AD. The other prominent church in Homs is the 5th-century Church of Saint Elian, built in honor of Christian martyr Saint Elian, whose tomb is located in the crypt. During the Emesani dynasty era, people who worshipped the sun god Elagabalus held undisciplined liturgies at the great “Temple of the Sun” (currently al-Nouri mosque), celebrating the creation of the Sun on "the fourth day" of the divine workweek (The Creation narrative in the Hebrew Bible). During Timur’s invasion, Homs inhabitants acted as lunatics to avoid massacres and destruction of their city. ^ Al-'Adhiyah (Arabic: عَذية‎), is a fertile land far from the water, scourge and pestilence. ^ According to J. L. Whitaker, "Strabo seems to consider these Emesani to be among the tribes of tent dwellers (skénitai) who dwelt in the region south of Apamea". ^ Mohamed al-Dbiyat, p. 160. ^ Almaany Team. "معنى كلمة عَذية في معجم المعاني الجامع والمعجم الوسيط – معجم عربي عربي – صفحة 1". almaany.com. ^ a b "Syria Top 20 Cities by Population". World Population Review. ^ "Homs". Random House Webster's Unabridged Dictionary. ^ Vailhé, Siméon (1909). "Emesa". Catholic Encyclopedia. Robert Appleton Company. Retrieved 26 February 2009. ^ a b "Distance Between Main Syrian Cities". HomsOnline. 16 May 2008. Retrieved 26 February 2009. ^ "11 Million Dollars for Reconstruction in Homs. - Syria Scope". www.en.syria-scope.com. ^ "Life in the aftermath: A wounded Homs city struggles to reconcile its past". Syria Direct. ^ Room, 2006, p. 167. ^ Raphael Patai (2015). The Jews of Hungary: History, Culture, Psychology. Wayne State University Press. p. 24. ISBN 9780814341926. ^ ܨܘܒܐ in English glosbe.com. ^ Khoury Issa Ahmed (1983). History of Homs – Chapter One, 2300 BCE – 622 AD (PDF) (in Arabic). Al-Sayih Library. p. 38. ^ a b c d Ball, 2000, pp. 34–35. ^ a b c d e f g h i Dumper, 2007, p. 171. ^ Gibbon and Ockley, 1870, p. 177. ^ Grousset, René. Histoire des Croisades III. p. 18. ^ Jackson, Peter (2007). The Seventh Crusade, 1244–1254: Sources and Documents. Ashgate Publishing. p. 83. ISBN 978-0-7546-5722-4. ^ a b c Cook, 1907, p. 362. ^ around "Year 5 III Shemu day 9" of Ramesses II's reign (BAR III, p. 317) or more precisely: 12 May 1274 BCE based on Ramesses' commonly accepted accession date in 1279 BC. ^ Strabon, p. 209; Henri Seyrig, p. 187. ^ Henri Seyrig, p. 186. ^ Henri Seyrig, p. 187. ^ Eugène Albertini, pp. 24–26. ^ a b c d e f g h i j k l m Dumper, 2007, p. 172. ^ Herbermann, 1913, p. 403. ^ a b c Carter, 2008, p. 155. ^ Crawford, Peter (2013). The War of the Three Gods: Romans, Persians and the Rise of Islam. Pen and Sword. p. 42-43. ISBN 9781473828650. ^ Mannheim, 2001, p. 205. ^ a b c Yaqut al-Hamawi quoted in le Strange, 1890, p. 356. ^ le Strange, 1890, p. 25. ^ Kennedy, 2007, p. 86. ^ Ibn Jubair quoted in le Strange, 1890, p. 355. ^ Gil, 1997, pp. 296–97. ^ Gil, 1997, p. 343. ^ a b le Strange, 1890, p. 353. ^ al-Muqaddasi quoted in le Strange, 1890, p. 354. ^ a b c d e f g h i j k l m n o Dumper, 2007, p. 173. ^ le Strange, 1890, p. 354. ^ Ibn Batuta quoted in le Strange, 1890, p. 357. ^ Mohammad Amin Sheikho (2011). حقيقة تيمورلنك العظيم تظهر في القرن الواحد والعشرين- الجزء الثاني (in Arabic). دار نور البشير. p. 43. ^ a b Collelo, Thomas (1987). "Syria – Ottoman Empire". Syria: A Country Study. GPO for the Library of Congress. Retrieved 28 February 2009. ^ Cleveland, 2000, p. 215. ^ "Military Training". All Refer. Retrieved 3 December 2017. ^ a b c Commins, 2004, p. 130. ^ Fisk, Robert. The fearful realities keeping the Assad regime in power The Independent. pp.35–36. 2012-03-04. Retrieved on 2012-03-04. ^ a b Seale, 2007, p. 210. ^ Capital of the Revolution Archived 17 December 2011 at the Wayback Machine. Al-Ahram Weekly. 2011-12-15. ^ "Syria conflict: Rebels leave Homs under truce – BBC News". BBC News. Retrieved 2015-12-09. ^ a b "Overview" (in Arabic). Homs City Council. 2008. Archived from the original on 18 May 2006. Retrieved 28 February 2009. ^ a b Carter, 2004, p. 157. ^ a b c d "A Map of the divisions of Homs City" (in Arabic). Homs City Council. Archived from the original on 13 December 2005. Retrieved 26 February 2009. ^ Carter, 2008, p. 157. ^ "Homs". HomsOnline. 2008. Retrieved 26 February 2009. ^ a b Shatzmiller, 1994, p. 59. ^ a b c Winckler, 1998, p. 72. ^ a b "CITY PROFILE HOMS: Multi Sector Assessment" (PDF). SDC and UN–Habitat. May 2014. ^ "Syria Arab Republic - Governorates profile" (PDF). OCHA. June 2014. ^ Baylson, 1987, p. 27. ^ "Ḥimṣ". Encyclopædia Britannica Online. Encyclopædia Britannica. 2009. Retrieved 11 February 2009. ^ Fahlbusch and Bromiley, 2008, p. 282. ^ Toynbee, 1916, p. 550. ^ "Relations with Syria: The Greek community". Greek Ministry of Foreign Affairs. 2008. Archived from the original on 21 May 2011. Retrieved 26 February 2009. ^ a b Dumper, 2007, p. 174. ^ Commins, 2004, p. 136. ^ "About Homes". Homs Chamber of Commerce. 2005. Archived from the original on 2 June 2009. Retrieved 26 February 2009. ^ "Wine Profile". Cortas Winery. 2007. Archived from the original on 15 June 2008. Retrieved 28 February 2009. ^ a b Carter, 2004, p. 158. ^ Wright, 2003, p. 63. ^ Wright, 2003, p. 427. ^ Wright, 2003, p. 223. ^ Wright, 2003, p. 182. ^ Carter, 2004, pp. 158–59. ^ "Beit al-Agha Restaurant". Beit al-Agha Restaurant. 2006. Archived from the original on 11 July 2009. Retrieved 27 February 2009. ^ "Julia Dumna Restaurant" (in Arabic). eHoms. 2006. Archived from the original on 6 December 2008. Retrieved 26 February 2009. ^ "متحف حمص". Directorate-General of Antiquities and Museums (in Arabic). 13 December 2012. Retrieved 3 December 2017. ^ Mannheim, 2001, p. 209. ^ "Desert Folk Festival in Palmyra". KadmusArts. 2009. Retrieved 17 February 2009. ^ "Al Badya Fesival (Badyet Al-Chaam)". KadmusArts. 2009. Retrieved 17 February 2009. ^ a b Beattie, 2001, p. 208. ^ a b "Al-Karamah Sports Club". Welt Fussball Archive. Retrieved 27 February 2009. ^ Carter, 2004, p. 67. ^ "Al-Wathba". Welt Fussball Archive. Retrieved 27 February 2009. ^ "موقع حمص - قريباً "حمص" ستكون بملعبين دوليين". esyria.sy. ^ "افتتاح مسرح دار الثقافة بحمص.. مشوح: نجهد للارتقاء بالفكر الثقافي". Discover-Syria (in Arabic). 27 June 2014. Retrieved 2 November 2017. ^ "Electronic Portal of Syria" (in Arabic). E-Syria. 2007. Archived from the original on 22 September 2010. Retrieved 28 February 2009. ^ "معالم حمص ومشيداتها الأثرية: المدرسة الغسانية.. منارة للعلم والثقافة خلال قرن من الزمن!". Zaman Al-Wsl (in Arabic). 1 February 2014. Retrieved 3 December 2017. ^ Beattie, 2000, p. 150. ^ Collelo, Thomas (1987). "Syria – Education". Syria: A Country Study. GPO for the Library of Congress. Retrieved 26 February 2009. ^ "History and Achievements". The International School of Choueifat. 2006. Archived from the original on 7 March 2009. Retrieved 26 February 2009. ^ "Overview". Al-Andalus University. 2008. Archived from the original on 12 April 2009. Retrieved 26 February 2009. ^ "Directorate of Education in Homs" (in Arabic). SANA. 7 September 2008. Archived from the original on 25 August 2008. Retrieved 26 February 2009. ^ Mannheim, 2001, p. 204. ^ a b Carter, 2004, p. 159. ^ Carter, 2008, p. 156. ^ Beattie, 2001, p. 207. ^ Carter, 2008, pp. 156–57. ^ Mannheim, 2001, p. 205–206. ^ Beattie, 2001, p. 53. ^ King, Geoffrey (2002). "Archaeological fieldwork at the Citadel of Homs, Syria: 1995–1999". School of Oriental and African Studies. Retrieved 17 February 2009. ^ George Kadar (2009). أدب الـنـكـتـة، بـحـث في جـذور الـنـكـتـة الـحـمـصـيـة ، حـرب الأيـديـولـوجـيـا الـفـكـاهـيـة و لـيـتـورجـيـا الـمـجـانـيـن الـمـنـدثـرة Adab al-nuktah, baḥth fī judhūr al-nuktah al-Ḥimṣīyah, ḥarb al-aydyūlūjiyā al-fukāhīyah wa-lītūrjiyā al-majānīn al-mundathirah (in Arabic). Dār Raslān. ^ Câmara Municipal de Belo Horizonte. "Lei nº 8.272, de 26 de dezembro de 2001" (in Portuguese). Archived from the original on 6 July 2011. Retrieved 20 February 2009. Albertini, Eugène. "A propos des Numeri syriens". .
Al-Dbiyat, Mohamed. Homs et Hama en Syrie centrale. .
Ball, Warwick (2000). Rome in the East: The Transformation of an Empire. Routledge. ISBN 0-415-11376-8. .
Baylson, Joshua C. (1987). Territorial Allocation by Imperial Rivalry: The Human Legacy in the Near East. University of Chicago, Dept. of Geography. ISBN 0-89065-125-6. .
Beattie, Andrew; Pepper, Timothy (2001). The Rough Guide to Syria. Rough Guides. ISBN 1-85828-718-9. Carter, Terry; Dunston, Lara; Thomas, Amelia (2008). Syria & Lebanon. Lonely Planet. ISBN 1-74104-609-2. Commins, David Dean (2004). Historical Dictionary of Syria: 2nd Edition. Scarecrow Press. ISBN 0-8108-4934-8. Dumper, Michael; Stanley, Bruce E.; Abu-Lughod, Janet L. (2007). Cities of the Middle East and North Africa: A Historical Encyclopedia. ABC-CLIO. ISBN 1-57607-919-8. .
Fahlbusch, Erwin; Bromiley, Geoffrey William (2008). The Encyclopedia Of Christianity: Volume 5: Si-Z. Wm. B. Eerdmans Publishing. ISBN 0-8028-2417-X. .
Healy, Mark (1993). Qadesh 1300 B.C, Clash of the Warrior Kings. Osprey Publishing. ISBN 1-85532-300-1. Kennedy, Hugh (2007). The Great Arab Conquests: How the Spread of Islam Changed the World We Live in. Da Capo Press. ISBN 0-306-81585-0. .
Abdulkarim, Maamoun. "Les centuriationes dans la province romaine de Syrie". .
Mannheim, Ivan (2001). Syria & Lebanon Handbook: The Travel Guide. Footprint Travel Guides. ISBN 1-900949-90-3. Room, Adrian (2006). Placenames of the World: Origins and Meanings of the Names for 6,600 Countries, Cities, Territories, Natural Features, and Historic Sites. McFarland. ISBN 0-7864-2248-3. .
Seale, Patrick; McConville, Maureen (1990). Asad of Syria: The Struggle for the Middle East. University of California Press. ISBN 0-520-06976-5. .
Seyrig, Henri. "Caractères de l'histoire d'Émèse". Shatzmiller, Maya (1994). Labour in the medieval Islamic world. BRILL. ISBN 90-04-09896-8. Shaw, Ezel Kural (1977). History of the Ottoman Empire and Modern Turkey. Cambridge University Press. ISBN 0-521-29166-6. Talhami, Ghada Hashem (2001). Syria and the Palestinians. University Press of Florida. ISBN 0-8130-3121-4. Wright, Clifford A. (2003). Little Foods of the Mediterranean: 500 Fabulous Recipes for Antipasti, Tapas, Hors d'œuvre, Meze, and More. The Harvard Common Press. ISBN 1-55832-227-2. This page was last edited on 14 April 2019, at 06:20 (UTC).